The capital of the beautiful Andalusia region of Spain, Seville is Spain's fourth largest city and a historically important town. The city boasts astounding architectural heritage complemented by stunning art galleries and museums. 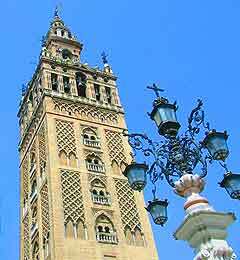 Seville is also a thriving cultural centre with a vibrant performing arts scene and the city is particularly famous for its classical and flamenco guitar and dance events.